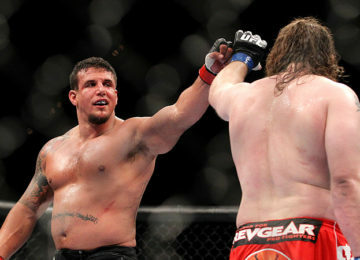 This week has been eventful to say the least in the world of mixed martial arts. From LFA 6 to ACB 54, to finally UFC Fight Night 106, various promotions came out with their events over the weekend. However, few topics continue to dominate the headlines; today, we take a look at all the major talking points from this past week. At UFC 209, one of the most highly anticipated fights of the year between Khabib Nurmagomedov and Tony Ferguson nearly came to fruition on the third attempt… nearly. Considering Khabib cuts a lot of weight prior to his fights, this weight cut was far from easy for the number one contender in the 155 lbs division. Going into the event, Tony Ferguson reminded Khabib that he still had to make weight. Even during the media conference call leading up to UFC 209, Tony called Khabib ‘fat’, and mocked Khabib, saying he never made weight. 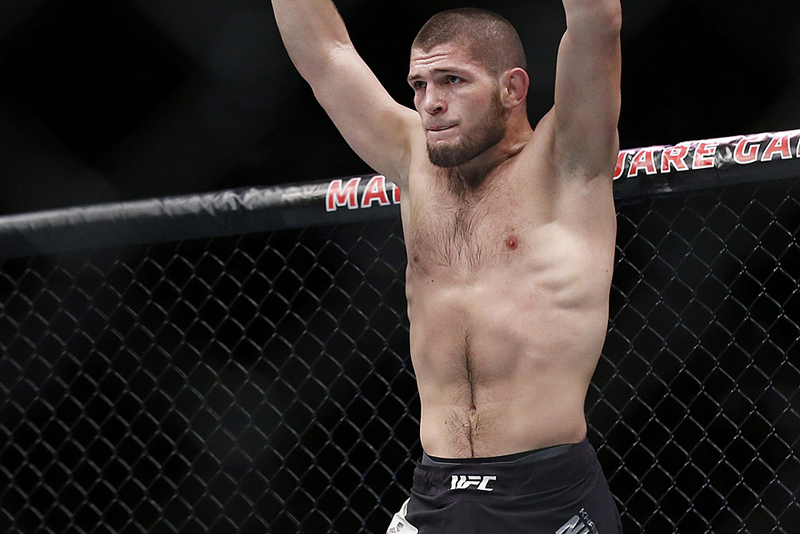 As fate would have it, the fight was called off when Khabib was rushed to a hospital, due to complications stemming from his weight cut. Since then, there have been a lot of rumours surrounding Khabib’s MMA career, with his father expressing doubts over Khabib’s future. Khabib’s coach, Javier Mendez recently spoke to Submission Radio, where he too talked about Khabib possibly retiring in the near future. Couple of years ago, Jonathan “War Machine” Koppenhaver was the subject of a manhunt, and was eventually captured by the United States Marshals and Simi Valley police. War Machine is a former MMA fighter, having fought in the UFC and in Bellator MMA, but his world fell apart when he was involved in a domestic dispute with his ex – girlfriend, Christy Mack and her then boyfriend. Mack was rushed to a hospital early in the morning on August 8th, along with her male companion. Mack suffered 18 broken bones, a broken nose, missing teeth, fractured rib and a ruptured liver, and it was later reported that War Machine attacked Mack and her then boyfriend, after finding them together in their house. Their case went to trial last week, and during Mack’s testimony, she revealed some dark, and truly grotesque details about the physical abuse she suffered at the hands of War Machine, which dominated the news last week. 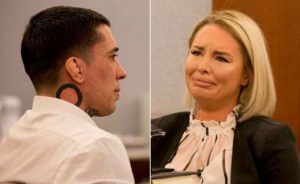 “At first they weren’t that frequent — maybe once a month — but as our relationship progressed, the violence progressed,” Mack confessed in the court, regarding War Machine’s history of physically abusing her. Mack further added that War Machine had given his friends her and her family’s numbers, and threatened her that he would get them killed if she went to the police. “He said he would send his Navy SEAL friends or Hells Angel’s after me or my family”, Mack confessed. Mack also testified that War Machine had sawed off her hair with a knife, and told her that he would have to kill her. If found guilty of the 34 counts, War Machine will likely spend the rest of his life behind bars. 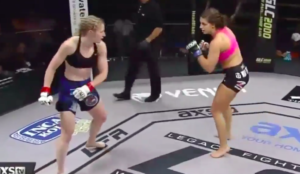 The BJJ phenom who recently made a transition to mixed martial arts was in action last weekend during LFA 6, as she faced Katherine Roy in her third professional fight. Dean captured headlines last year, with her Imanari Choke finish of Montana Stewart at Legacy FC 61. However, going into her recent fight, Mackenzie once again failed to make weight, coming in 4 pounds over the allowed 116 lbs weight limit. While Mackenzie showed excellent striking, her opponent managed to stretch the fight over all three rounds, with the fight going to the judges. Dern won the fight via unanimous decision, and is now 3 – 0 in her professional MMA career. After all the hoopla surrounding Conor McGregor and Floyd Mayweather Jr. in the past few months, there seems to be no end in sight to the excitement and the anticipation. Couple of days ago, Floyd Mayweather Jr. once again got the opportunity to take a few shots at Conor McGregor and the UFC, and Floyd certainly made the most of the opportunity he was presented with. Floyd proceeded to announce that he was coming out of retirement for Conor McGregor, and urged the Irishman to sign on the dotted line to make the fight official. Floyd further told Conor to get things in order with the UFC, and that he was waiting for him. With Conor receiving his boxing license, it will be interesting to see how this story unfolds.